Once known as the place to buy batteries and obscure electronic parts, RadioShack has struggled to hang on to customers as more people shop on Amazon.com and other online retailers. It redesigned its stores about three years ago and stocked its shelves with popular headphone brands and the latest gadgets. But that didn't attract more shoppers, and the retailer filed for bankruptcy protection in 2015. After that, it tried to lure smartphone-loving shoppers by opening Sprint wireless carrier shops within 1,200 RadioShack locations. But that didn't help, either. CEO Dene Rogers said Thursday that mobile phone sales were "surprisingly poor," especially in recent months. RadioShack said it is in the process of closing 200 stores and will evaluate its options for the remaining 1,300. Of those remaining locations, Sprint Corp. said it will turn "several hundred" of them into Sprint-only stores, but declined to give a specific number. RadioShack, based in Fort Worth, has nearly 5,900 employees, according to bankruptcy paperwork filed on Wednesday. The company said it will try to "preserve as many jobs as possible." Its stores are open for business, but RadioShack said that anything sold at them cannot be returned for a refund. 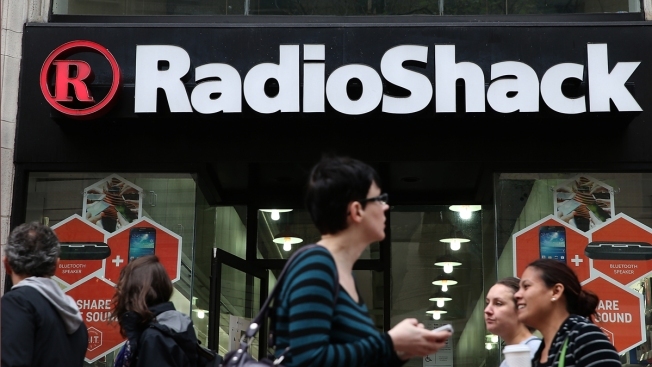 Its website, however, will continue to accept returns on items bought from RadioShack.com. The company said that those holding a RadioShack gift card have until April 7 to spend it at stores. RadioShack, which was founded in 1921, is owned by General Wireless Operations Inc., which bought the brand after its 2015 bankruptcy. New York-based hedge fund Standard General is a shareholder in General Wireless.